I went rock climbing with my 25-year-old daughter two days ago and my upper back is killing me. But rock climbing is part of my new attitude toward life: Don’t say no. This started three years ago, when I was already on the shady side of 50. 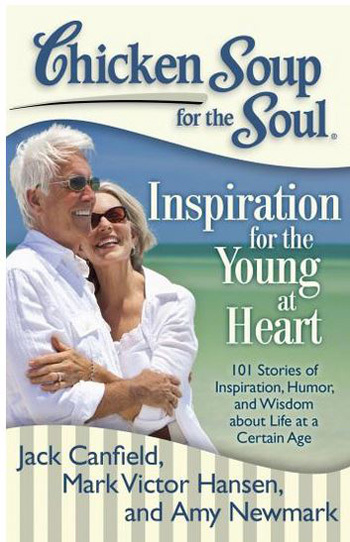 I read a story called “Go 60” that Susan Tornga wrote for our book, Chicken Soup for the Soul: Inspiration for the Young at Heart. Susan had decided that she would try 60 new things as she turned 60 and she would keep a diary listing all her experiences. Because she traveled frequently, many of the entries in her diary involved trying new things in exotic locations. She did the Sydney Harbour Bridge climb, licked an ant in the rain forest and drove on the left side of the road in Australia. She ate a new food, pierogies, in Gdansk, Poland. She toured the Hermitage museum in St. Petersburg, Russia. She climbed a steep trail to the top of Diamond Head on the island of Oahu in Hawaii. Closer to home, she waterskied on Lake Powell, took a Mexican cooking class, learned how to use a gas grill and cranked out homemade pasta for the first time. She worked at the polls on Election Day, started a blog and watched horse racing. As Susan neared her 61st birthday, she had only 54 items on her list of new things. So she signed up for docent training at a local museum and sponge-painted a bathroom. Susan says that in her zeal to add items to her list, she agreed to do many things she would normally have turned down, including the Sydney Harbour Bridge climb, several hundred feet over the water. 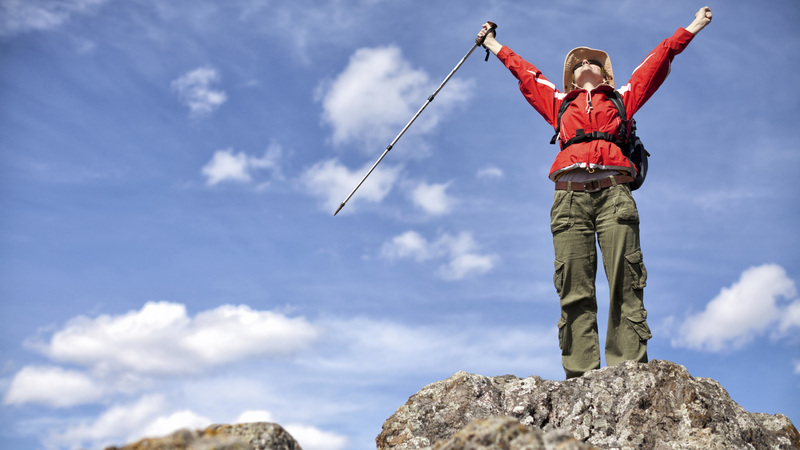 According to Susan, “The unquestionable success of my Go 60 year was the shift in my mindset. I might never have agreed to the bridge climb, which, by the way, was not the least bit frightening once we got underway, had I not been looking to add to The List. What a pity it would have been to miss the exhilaration and beauty of that experience.”Because of Susan’s story I’ve tooled around Bermuda on a moped, zip lined in Costa Rica and dune surfed in an SUV in Dubai. I might not have done these things if I hadn’t been conscious of the need to keep trying new things as you get older. I’ve tried new kinds of clothing, new drinks and new foods. Last week I ate a dog biscuit in the office. We were trying them. Why not? So when my daughter suggested we go to her climbing gym, I said yes, much to her surprise. And I liked it. Author Sharon is “Fearless” in this story from Chicken Soup for the Soul: The Magic of Mothers and Daughters.